Find out why your neighbors in & around Toronto trust Splash Window Cleaning to leave their windows with sparkling results! "I have had multiple companies do my windows. Splash has been the best by far. They have had my interior and exterior windows looking brand new. And their Christmas lights set up is amazing. Great company." Sparkling results at a price to suit everyone’s needs! Your windows play a big part in your property’s overall appearance. Whether you are at home or at work, the last thing you want to be doing is looking out of streaky, stained windows. It doesn’t look good from the outside or the inside. And it’s one of the first things that a visitor or potential customer will see when approaching your property. First impressions are important — and we’re here to ensure you make a good one! At Splash Window Cleaning, we have been providing sparkling results for our customers here in Toronto for over 18 years. We offer a professional, efficient service. From the moment you pick up the phone, we’ll provide you with a detailed estimate to get your windows gleaming in no time! And with our Splash Clean Guarantee, if you aren’t satisfied with your window clean, we’ll come back within 48 hours and redo them for no charge! So the only results you can expect from us are sparkling windows. But please, don’t just take it from us — read our verified customer reviews right here! If you are looking to have your windows cleaned or to boost the curb appeal of your property with one of our other professional services, please get in touch with us below! We live in a beautiful city, even something as simple as looking out of the window can really brighten your day. So if you’re looking out and seeing streaky, stained windows, it’s not going to make you feel full of joy. Window cleaning is one of those jobs that can seem easier than it really is! Some windows can be in awkward, hard-to-reach places which can be dangerous for inexperienced cleaners to get to. Not to mention that lovely, streak-free finish you want your windows to have — that can only be achieved with professional-grade equipment. We appreciate that when you let someone on your property or into your home, you want to make sure that you can trust them. All of our workers here are fully trained and insured so you can expect them to be nothing less than respectable, professional and competent. Why choose Splash Window Cleaning for your home window cleaning? Save yourself the danger of getting up on a ladder to clean your windows! As professionals, we are fully insured under the Workplace Safety and Insurance Board (WSIB) — we get up on the ladder so you don’t have to! Are you looking for a streak-free gleam? With the use of our professional-grade equipment, we guarantee to achieve this for you! At Splash Window Cleaning, we provide a zero risk clean guarantee. If you aren't completely satisfied with our work, just call us within 48 hours of your finished job and we will fix it for you at no charge at all! The appearance of your building can have a significant effect on your customer’s initial impressions as they enter your business. Clear, sparkling windows are a great and easy way to encourage a positive impression on your clients before have even stepped inside your building! 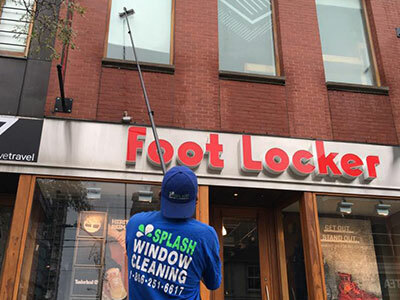 At Splash Window Cleaning, we offer low-rise window cleaning services for our clients, and can service buildings of to 5-6 stories without the use of ladders or roof anchor systems. Unlike traditional office cleaning methods, we use a water fed pole system which is operated from the ground. The set up / tear down time with this system is significantly less than other methods, and allows us to achieve the same quality of cleanliness, in less time. So that means less disruption to your business, employees and customers. Why choose Splash Window Cleaning for your commercial window cleaning? With years of commercial window cleaning experience, it means we’ll get you the best results in minimal time! With our use of the water-fed pole system, it gets your windows cleaned effectively and much quicker than the more traditional way — meaning less disruption to your business and less money for you to spend! If you would like your building to reflect your business in a positive light, get in touch with us today using one of the buttons below! 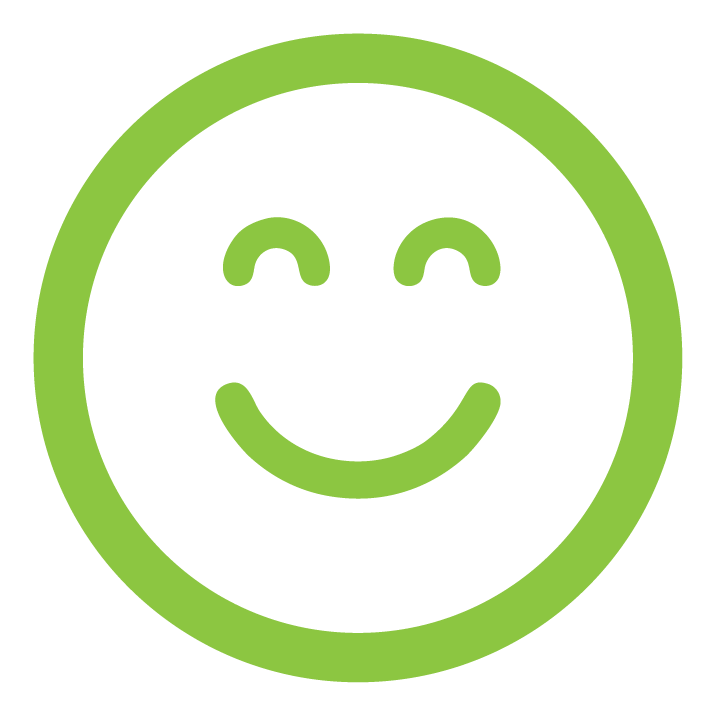 "On time, fast, exceptional work, great customer service couldn't be more happier. Thank you Splash." Having clean, functioning eavestroughs are not just important for the aesthetics of your home or office building, they are a key component of an effective draining system as well. 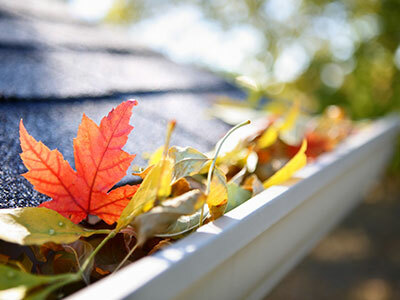 We get some gorgeous fall colors here in Ontario but, with it comes the falling of leaves into your eavestroughs. At Splash, our eavestrough cleaning experts can effectively clear your eavestroughs and downspouts, ensuring that they look great and work properly. If you neglect the proper care when it comes to your eavestroughs, it can cause major issues, and as a result, major costs. It's like the maintenance of your car – an oil change can cost you $50 but if ignored, a new engine can cost you thousands of dollars! If your eavestroughs are clogged, this can result in overflow during rainstorms which can cause serious problems for the foundation and structural integrity of your home. Why choose Splash Window Cleaning for your eavestrough cleaning? "Wow, what a great professional experience. From the time I reserved the booking to the finish, the job exceeded my expectations my windows and eaves have never been cleaner. Jef and Joe were amazingly fast, efficient and friendly and a great asset to your company. Keep up the great work Splash! Your driveway can really boost the curb appeal of your property. All new driveways begin with a layer of sealant for protection, but with the sun, water, and general usage and wear on your driveway, this seal becomes broken down. Eventually, the water will permeate into the gravel below. 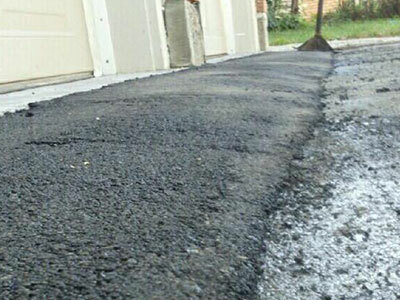 If you allow your driveway to fall into this state of disrepair, it may require a complete overhaul which can be a major cost and inconvenience. At Splash, we effectively re-seal your driveway. We ensure that it’s well protected against the elements. A freshly sealed driveway isn’t just for pothole prevention, it looks great too and significantly boosts your curb appeal! If your driveway is looking tired, grey and faded, it’s probably time for a re-seal. Get in touch with the professionals below! Has your home siding seen better days? Is your driveway looking stained and dirty? If you have answered yes to these questions, it sounds like you need a professional pressure washer! Having your property pressure washed doesn’t only make it look great, but it also creates a cleaner environment around your home. We understand the temptation to borrow your neighbor’s pressure washer to give your home a good wash. But did you know that it's super easy to damage your property surface if you don’t use a pressure washer properly? Pressure washers are extremely powerful machines and require specific techniques based on the material and issue they are being used to treat. At Splash Window Cleaning, we are professionals when it comes to pressure washing your home. After we’re done, your home siding will be sparkling and there will be no damage to your property! Why choose Splash Window Cleaning for your pressure washing needs? With over a decade of experience pressure washing our clients’ siding, driveways, eaves, window frames, and walls, you can be sure that we know exactly what we’re doing. We’ll leave your home with gleaming results! If you would like to boost your property's curb appeal without worrying about any damage to it, get in touch with us today! 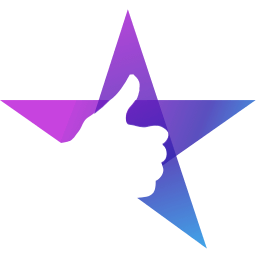 "They always do a great job. The guys are professional and the all the call center reps are friendly. Thank you Splash!" When the holiday season comes, you want to spend it at home with your family — not outside in the freezing cold trying to get your Christmas lights up! At Splash we make Christmas light installation as easy as possible for you. We meet with you to discuss colors and designs you have in mind and provide any of the Christmas lighting and related products you require. We then hang the Christmas lights on your roof, eaves, windows, trees, or wherever else you desire. We even work with commercial clients to give their offices that joyous, christmassy feeling! And the best part? You only pay full price in the first year when you purchase your lights from us. In the following years, you only pay maintenance fees for setting up and taking them down. Make a small investment up front, and benefit for years to come! At the end of the holiday season, we’ll take down your Christmas lights, properly coil your cables and put them in boxes to ensure easy storage. This means it will be an easy set up the following year. You then can store your own Christmas lights if you desire! 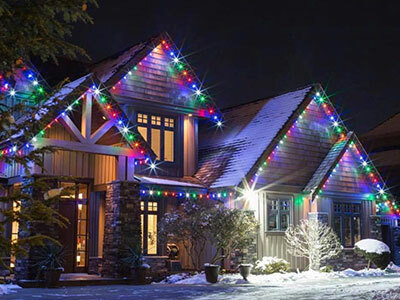 If you want to get set for the holidays and see your home or property magically lit up over the Christmas season, get in touch with us! Why do residents in and around Toronto trust us for their window cleaning needs? 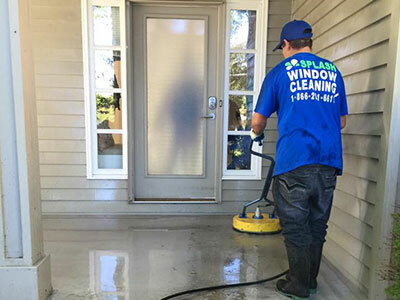 At Splash Window Cleaning, we are proud to have been serving Toronto and surrounding areas with our property exterior services for over 18 years. We have a small team here which means you get a personalized service every single time you see us. Every team member is fully trained for at least 1 year until they come out on their own to clean your property’s windows. We want to make sure that you get only the best service which will leave you feeling proud of your property! You can read what our customers are saying about us right here! 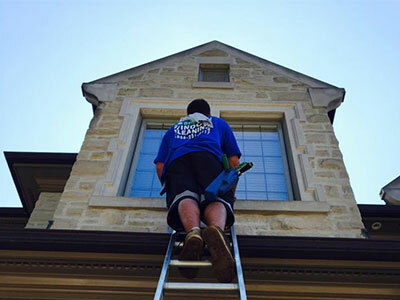 If you are in or around the Toronto area and are looking for an expert window cleaning company who provide a top-notch service — then look no further! Get in touch with us today. We look forward to making your property shine.